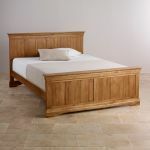 The French Farmhouse Solid Oak Double Bed is our contemporary version of a much-loved, classic French design. 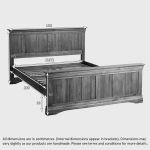 Featuring traditional flared cornices, panelled head and foot boards and arched bases, it's a sure-fire way to introduce a sense of style and understated opulence to your bedroom. 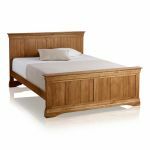 The bed has been handcrafted from premium grade solid oak throughout; we never skimp on materials and we will never use chipboard, MDF or veneers in any of our products. 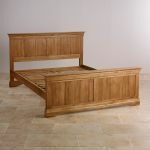 This means you can rest assured on the build quality, because even the bed slats are 100% solid oak! 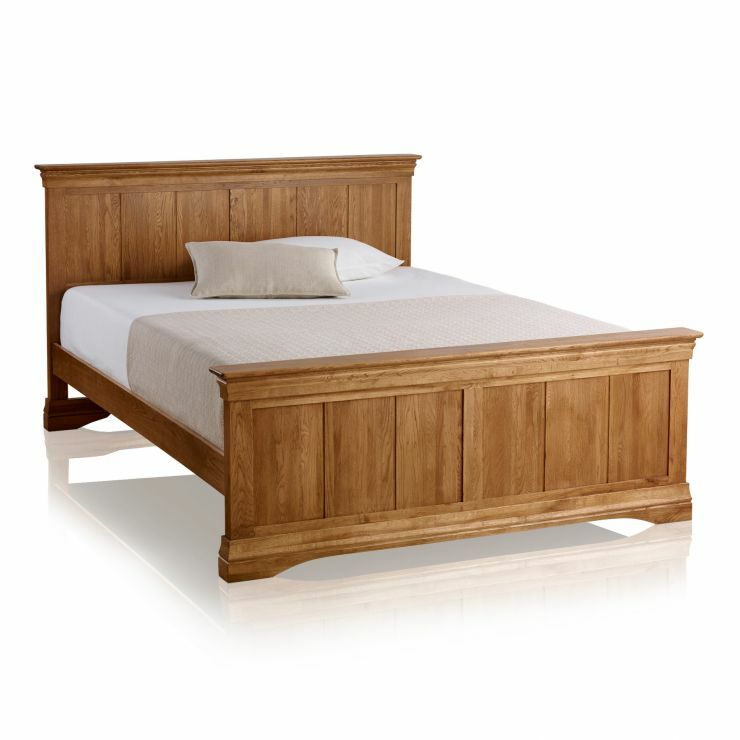 If you choose to invest in this sumptuous bed, team it with one of our high quality double sized mattresses for a great night's sleep - night after night.